Dr. Alex Zhavoronkov, (Ph.D) is the CEO of Insilico Medicine (www.insilico.com), a Baltimore-based leader in the next-generation artificial intelligence technologies for drug discovery, biomarker development, and aging research. At Insilico he pioneered the applications of generative adversarial networks and reinforcement learning techniques for generating the novel molecular structures with the desired properties. He was the first to develop the deep-learned multi-modal predictors of age for drug and biomarker development. He set up the R&D centers in 6 countries including the United Kingdom, Korea, Russia, Hong Kong and Taiwan and launched multiple biomarker initiatives including Young.AI. Prior to founding Insilico Medicine, he worked in senior roles at ATI Technologies (acquired by AMD in 2006), NeuroG Neuroinformatics, the Biogerontology Research Foundation and YLabs.AI and established AgeNet.net competitions and Diversity.AI initiative. Since 2012 he published over 100 peer-reviewed research papers and books including “The Ageless Generation: How Biomedical Advances Will Transform the Global Economy” (Palgrave Macmillan, 2013). He is the co-organizer of the 5th Annual Aging Research for Drug Discovery Forum and the 2nd Artificial Intelligence and Blockchain for Healthcare Forum at the EMBO/Basel Life, one of Europe’s largest industry events in drug discovery. 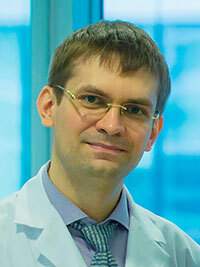 Dr. Zhavoronkov holds two bachelor degrees from Queen’s University, a master’s in Biotechnology from Johns Hopkins University, and a PhD in Physics and Mathematics from Moscow State University. He is the adjunct professor of artificial intelligence at the Buck Institute for Research on Aging.